Following from my review of the favourite Nars Laguna Bronzer, I wanted to share another bronzing product that I also love. I have used bronzers from The Body Shop since I was in my teens. I am a huge Body Shop fan which you may soon learn. About a year ago, The Body Shop changed their bronzing range to include the new honeycomb structured bronzer, which did unfortunately take the place of my once favourite shimmery bronzer. However, I decided to give the new matte shades a try and wasn’t left disappointed. I will be honest though, I do prefer bronzing powders to contain a little more shimmer as I like my skin to glow, but for an every day look, having a matte shade doesn’t really bother me. The honey bronze bronzing powder range from The Body Shop consists of three matte shades, light, fair and medium. They cost £13 which is extremely reasonable and sweep onto the face and neck really neatly over foundation. It always appears to last all day for me and gives me that bit of colour that I need, especially in the winter. I will mention that I use the third shade in medium. After buying the second shade worrying that the third may be too dark, I ended up taking it back to swap for medium when I noticed how light it was. I prefer bronzers to be buildable, especially for night time occasions and the lighter shade just didn’t look like it would add any warmth to my face. I would therefore recommend most people to go for the third shade and apply it lightly. You would have to be a true english rose to need any of the lighter shades, but again it depends on how you like your bronzer to look. 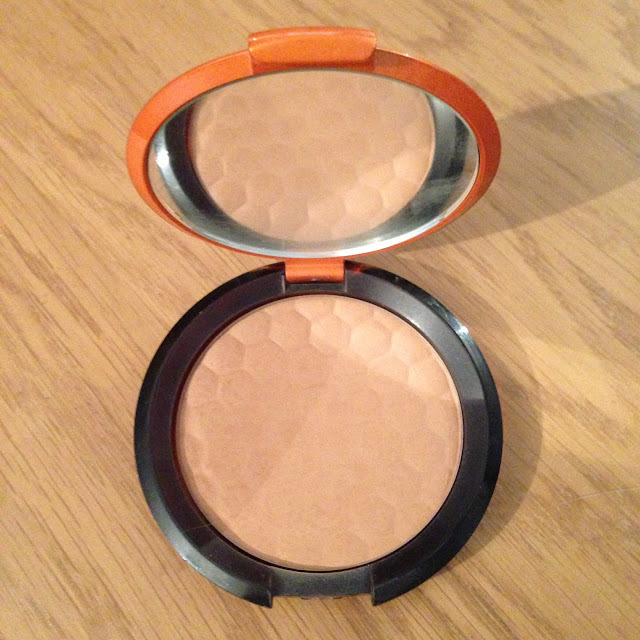 It comes in a round compact with a mirror with 11g of product which is much more than most designer brands. For someone looking to buy a matte bronzer that is not too pricey, I would give the honey bronze range a try! What do you guys think of it?